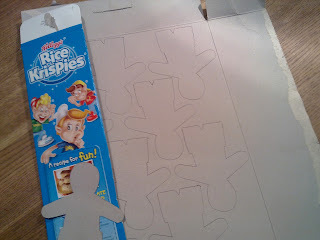 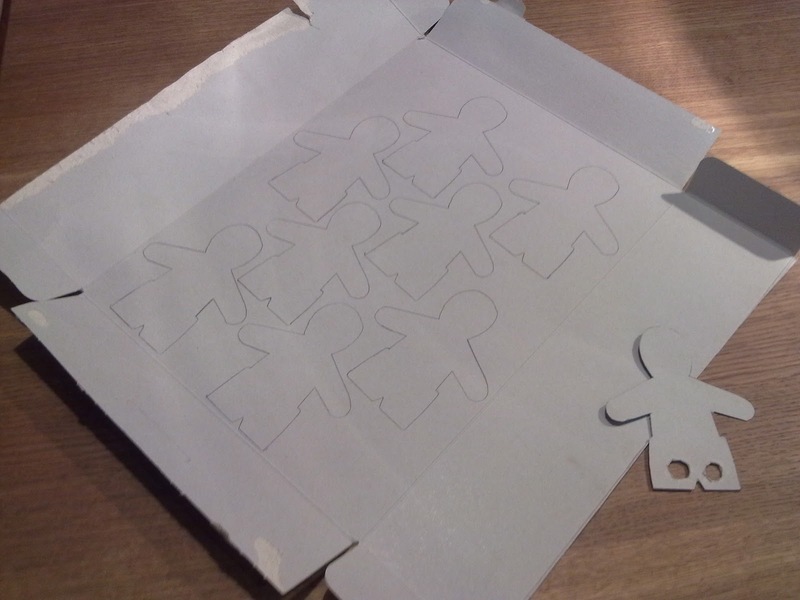 Cereal boxes were always a source of creativity in my childhood years, my grandparents used to save all their empty boxes (along with the pieces of card from packets of my Granny's tights - rectangular with rounded corners. 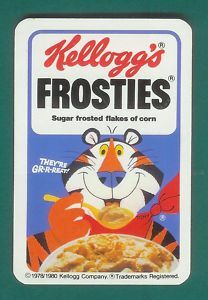 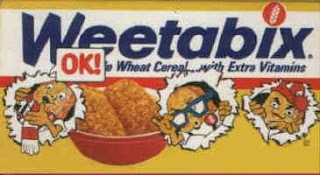 These were saved for very special projects though as they were blank on both sides) The cereal boxes were made into dolls with paperclip jointed limbs, Kellogg's theatres came to life when cardboard characters taped on pencils entered stage left, the nativity scene (when viewed from behind) was made up of Tony the Tiger and the Weetabix characters. 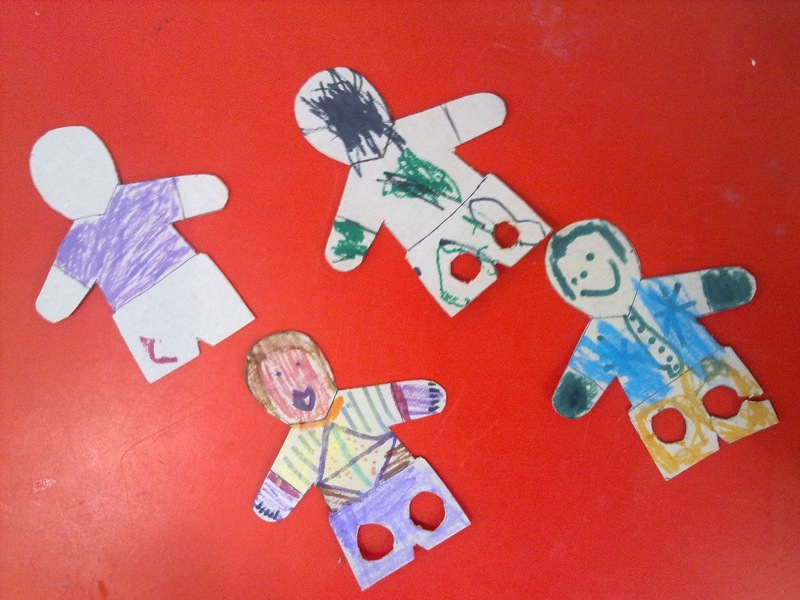 So when it was my turn to provide a craft activity for the local toddler group we go to I knew exactly where to look for inspiration. It was the week the football season opened so as a blast from the past we made these little fellas.